Wood, fabric and acrylic plexiglass, Nationale, 2010. Parts of the sculpture are wrapped in jacquard wool. An abstract L piece cuts across diagonal within the acrylic cube. The acrylic balances on top of a ball which balances on a pedestal. Akin to: Intersection of solid and adaptable materials. Mystical and mythical, protective powers of the guardian lion with ball at gate. 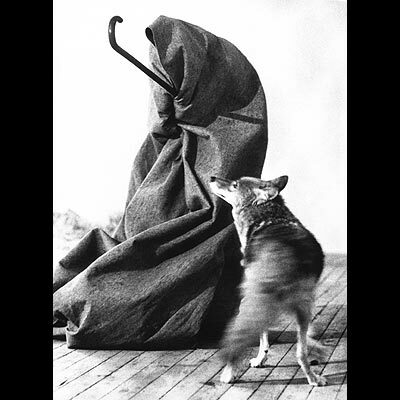 Shroud comfort of Joseph Beuys.